The strategy sets out how the organisation will leverage its strong science, engineering and technology capabilities to build on industrial development opportunities, to ultimately create a more balanced focus on scientific and industrial development. The strategy focuses on nine synergistic clusters and enabling initiatives to deliver the desired impact. These span several industries and rely on collaboration with a host of public and private sector stakeholders, funding partners, industry associations, higher education institutions, and innovation partners. The CSIR’s work for the public sector and its public good science continue to be part of the strategy. The clusters are technology industry convergences that represent the CSIR’s strategic focus, having been selected based on considerations of national priorities, potential for socioeconomic impact and the fourth industrial revolution. Industy challenges, value chains, emerging technology and socioeconomic trends and capability requirements were also considered. The Future production: Mining cluster supports the growth and revitalisation of the mining industry through innovation for process, equipment and health and safety improvement. Activities in the Future production: Manufacturing cluster are directed at strengthening manufacturing and assembly, facilitating supply chain integration and improving production and processing lines by leveraging technological advances and supporting Industry 4.0 readiness. The Future production: Chemicals cluster improves the competitiveness of chemical industries through innovation in biochemical conversion, pharmaceuticals and advanced materials. The NextGen Health cluster focuses on driving a local healthcare industry and improving health outcomes through synthetic biology and advances in digital, diagnostic and treatment technologies. Activities in the Advanced Agri and Food cluster are directed at strengthening the agricultural industry and associated agro-processing value chains through advanced technology and predictive science-based tools. Work in the Defence and Security cluster is aimed at strengthening capabilities in defence, civil security and cybersecurity through advanced technologies. The NextGen Enterprises & Institutions cluster is about transitioning South Africa’s institutions into a digitalised era. In the Smart Logistics cluster the focus is on enhancing the efficiency and safety of transport and logistics infrastructure and operations in support of a competitive economy. The Smart Places cluster works towards achieving smarter resource use (energy, water, climate change environment), infrastructure and service developments through transformative technologies. 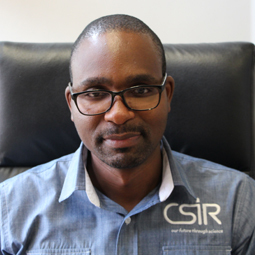 Collaboration is key to the strategy’s successful implementation and the CSIR is looking forward to engage and collaborate with both private and public sectors to understand the requirements of those whom we wish to assist in becoming more competitive and capable.